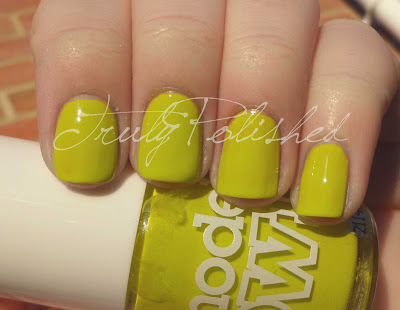 Tonight I have a bright non-wintery polish to show you. This is Aciiied by Models Own and I bought it as part of the half price sale that they had a while ago. It's a bright greeny-yellow. Kind of a shade of chartreuse, which I used to hate, but now it's one of my favourite colours! I used this as part of a tape mani a while ago. You can see that here. The formila of this was a little thick but fairly easy to work with. The photos below show two coats with no topcoat. I love this polish, it's the ultimate ugly-pretty shade! I did a layering combo that I thought was amazing, so I'm hoping to recreate that to show you all. 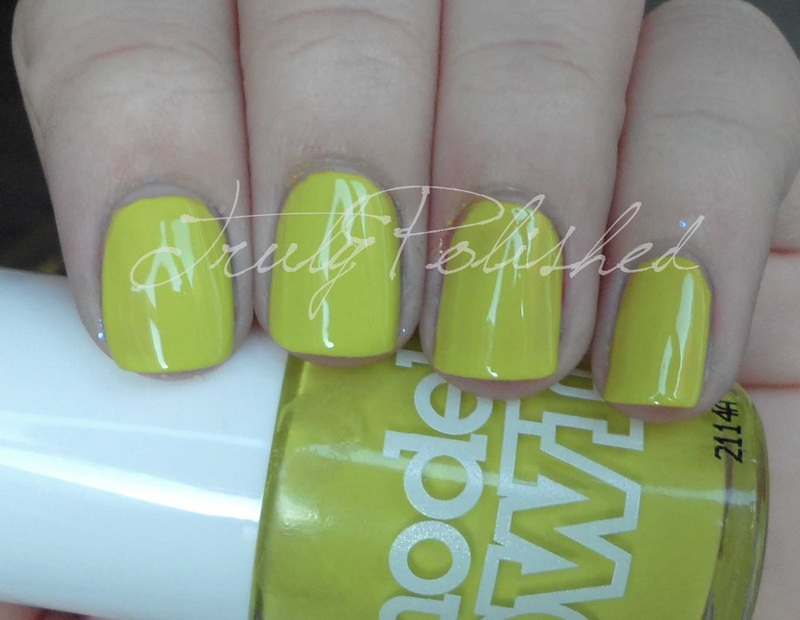 You can buy this polish at the Models Own website, as well as the other usual stockists. It retails for £5 but as I mentioned earlier, I got this for £2.50! Have a great weekend and see you in a few days! Totally agree about the ugly pretty part XD I'd wear it every day....my nails would be stained like split pea soup for weeks. I love it! When I bought it I wasn't 100% sure about if but for £2.50 I thought I might as well and I've worn it so much! I just love it so much!